We moved into our home in West London about 7 years ago, after doing quite a big renovation job which took around 13 months. We carried out a rear extension, a loft conversion, moved bathrooms and internal walls, so you could say we gutted the house and started again. Fortunately we didn’t have to live through any of the work, as the girls were very young at the time and were lucky enough to move in once everything was finished. However, after 13 months of renovations, there was not very much left in the pot for furniture to fill the rooms, so we ended up making a few rash decisions based on time and budget. 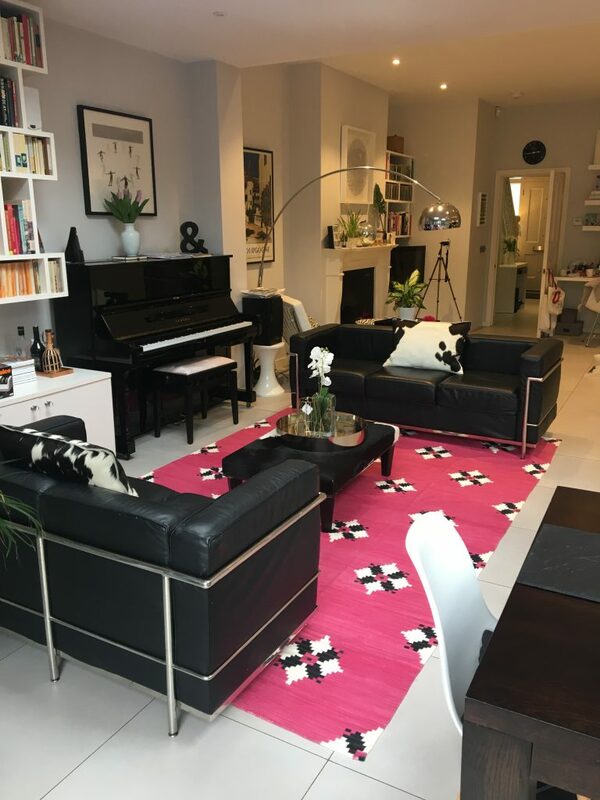 For our open plan kitchen space we bought two black leather Le Corbusier sofas and a Barcelona chair from an antiques shop in Chiswick. The kitchen had a contemporary feel to it, so we thought that these design classics would work well in the space, but I am not sure I ever really loved them. I think when you have small children and pets, you have to think about the practicality of large pieces of furniture and they seemed like sensible purchases at the time. We had two young daughters and then a new born Charlie joined our clan. Cue milk bottle spillages, newborn spit up, two naughty kittens and the general grubbiness that goes hand in hand with small children and remarkably they were still in excellent condition when I decided to sell them a few months ago, so perhaps they served their purpose well? The only ‘before’ pic I could find, so excuse the mess! After seven years and with our children out of the ‘small’ phase, I felt it was time for a change and a refresh in the kitchen. 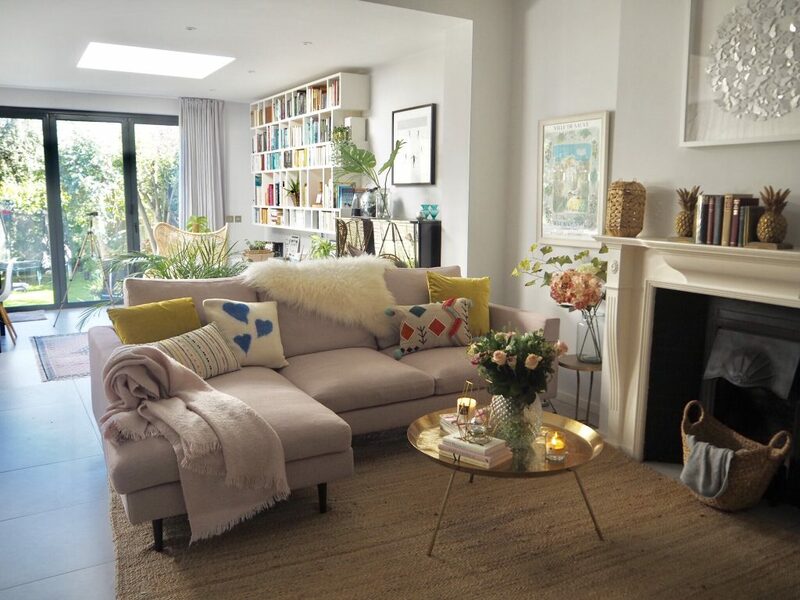 To get the ball rolling, I listed the sofas on Ebay and then enlisted the help of my friend, Clare Nash, an Interior Designer, to guide me in the right direction and help me make important decisions. I am the sort of person that turns to Pinterest for inspiration then falls in love with every single ‘look’ I see. I dither and get sidetracked and end up driving my poor husband crazy while he’s trying to watch something on Netflix in the evening. ‘Don’t you love this look?’, as I shove the I-pad under his nose. He usually gives me half a smile and a roll of the eyes. Let’s just say I get these ‘interiors bees’ in my bonnet quite often! However with Clare’s help, I would save all the hours of trawling that I didn’t have and avoid simply recreating a look I’d seen on Pinterest, which would lack originality and the individual flair that I feel every home should have. 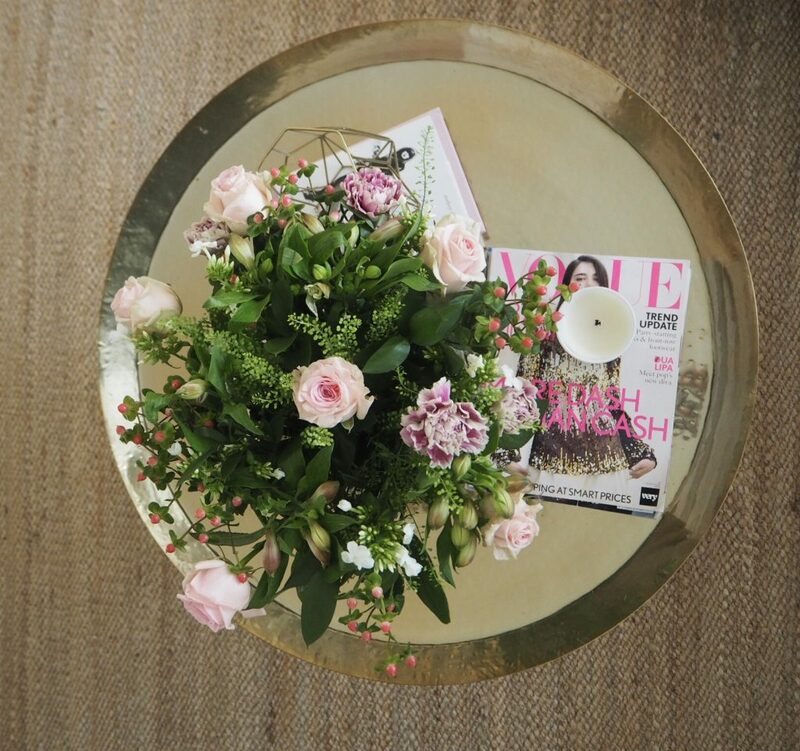 I do think it’s wonderful to take inspiration from Instagram and Pinterest, but it’s also very easy to get swept up in recreating a ‘look’ and end up with a homogenised and slightly impersonal ‘showhome’ that lacks personality and has no stories to tell. 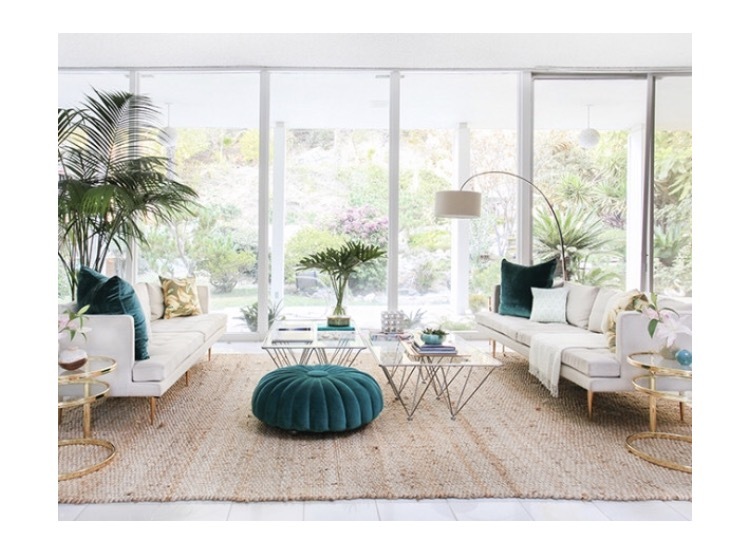 The homes that I love and really speak to me are the ones that have a collection of beautiful pieces that are individual to the owner and a reflection of who they are as people. I wanted to soften the space and create a more comfortable seating area. Somewhere the children and I could flop/do homework/fold the washing/watch tv after school. We do have a separate ‘snug’ where we watch TV as a family, but I thought it would be nice to have somewhere that we could do this in the kitchen as it is such a lovely, light room and it wasn’t being fully utilised. To begin, Clare asked me to create a Pinterest board with some looks that I liked and she would do the same. When we met, I was delighted to see that we had pinned EXACTLY the same picture for the overall look of the new space. Clare really knows her stuff when it comes to creating beautiful interiors, so this little affirmation meant a great deal to me. I sold our old sofas and chair on Ebay, and once they’d been collected, we were left with a very large space which soon became a gymnastics/disco/scooting zone. Clare warned me that we would very quickly get used to all the space, so the priority was to choose and order the new sofa. 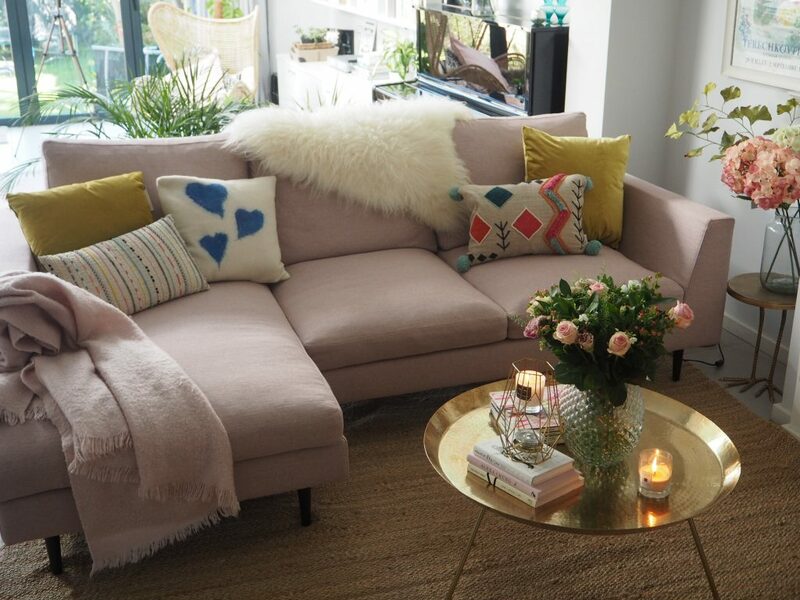 We had narrowed down the choices and decided to opt for a large L-shaped sofa. 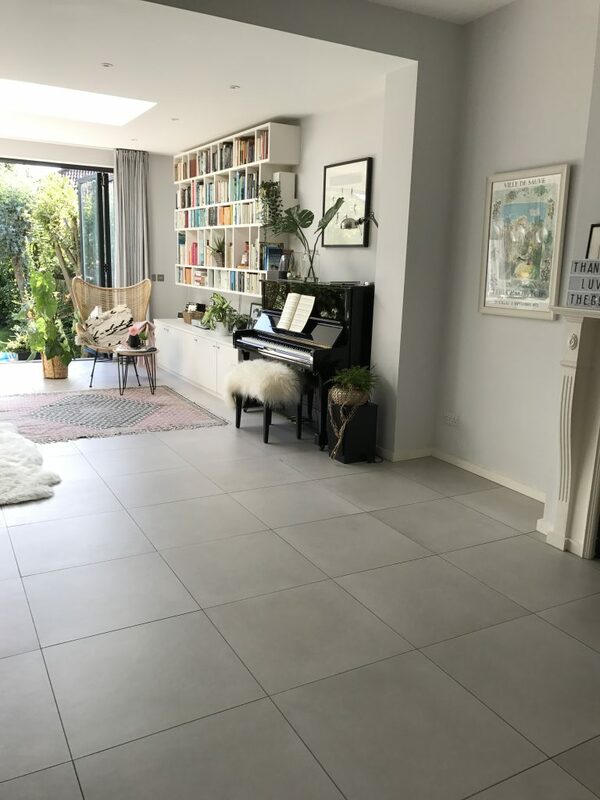 Clare recommended that we go for something big to add impact to the room and assured me that the dimensions we were working with were absolutely fine. Initially I thought that velvet would be the best fabric to choose as Sammy (our Siamese cat) didn’t like putting his claws in velvet. We have velvet sofas in our snug and he has never touched them, but he has completely shredded other pieces of furniture with a linen/cotton texture, so I was very nervous about going for something that wasn’t leather or velvet. Once again, Clare stopped my dithering and gave me the confidence to make a decision that would usually give me several sleepless nights. ‘Velvet isn’t right’ was all I needed to hear from Clare. 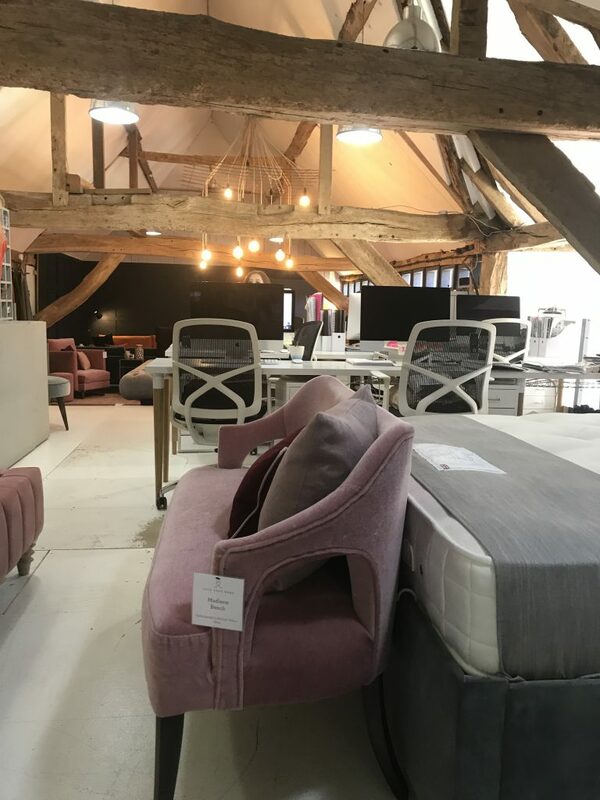 There were so many places to look for sofas and it can be easy to get lost in choice, so I swiftly focussed my search to one company that I had heard really good things about. 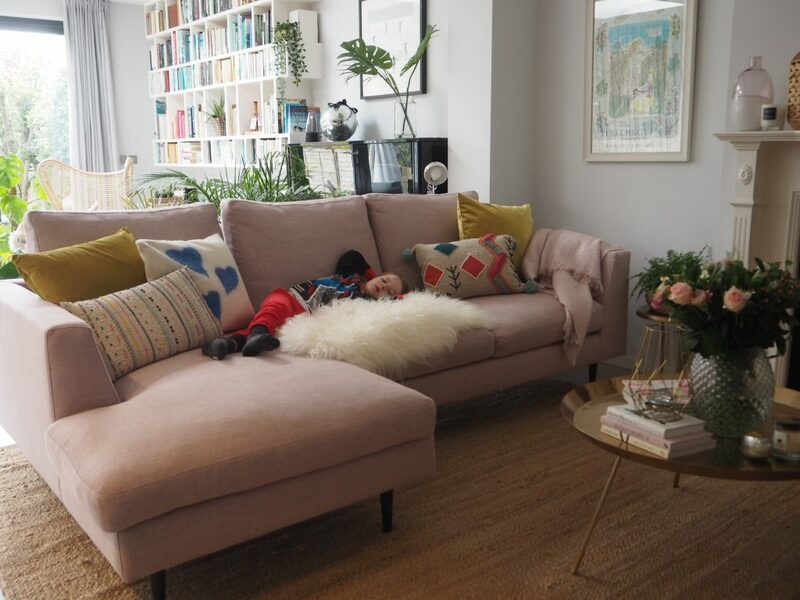 For us, Love Your Home seemed to offer the best choice in terms of designs, fabrics and value for money and I loved the idea of getting our sofa from a company where the service was so personal and tailored to our needs. From the initial browse of the website to taking delivery of our sofa, it was such a positive experience. 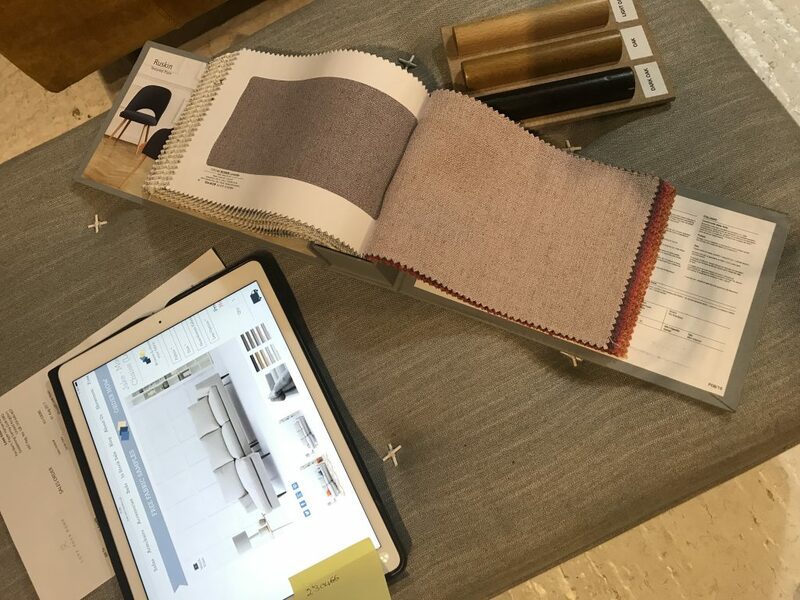 After looking at their beautiful sofas online, we decided to visit their showroom en famille one Sunday to make our final decisions. The Barn is situated in the most beautiful setting in Godalming Surrey, and is about an hour’s drive from where we live in London so we decided to make a day of it and went for lunch at the ‘Stag on the River’ afterwards, which I would definitely recommend if you have time. A family visit to the Barn! The showroom itself is in a beautiful barn and is so warm and inviting. You feel ‘at home’ the minute you walk in and the staff are so friendly and helpful. 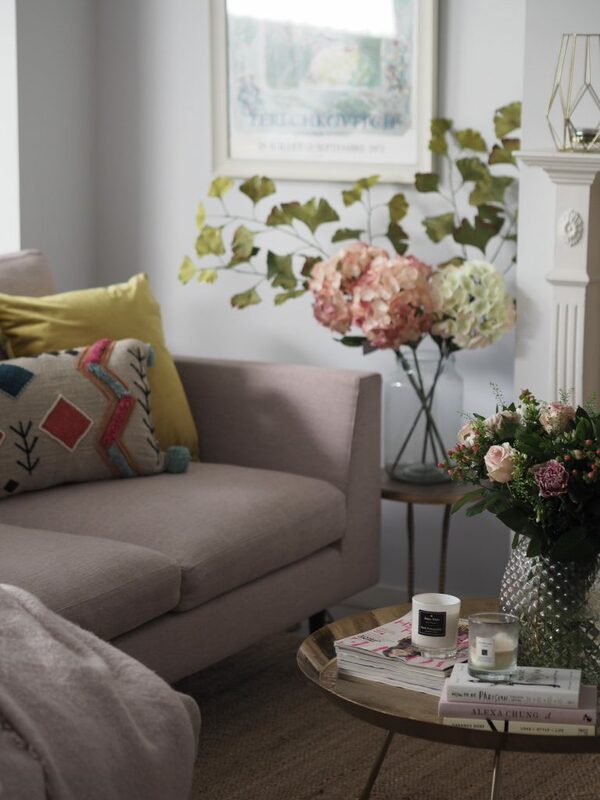 Love Your Home is a fairly new company, set up in 2016 by Leigh and Abi whose combined experience in furniture and design make them a dream team. Leigh used to run a big furniture design company and Abi was the style editor at Elle Decoration so they know how to produce well made pieces of furniture that look beautiful. I walked around the show room and fell in love with almost every piece I saw. 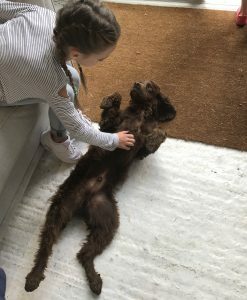 Children and pets welcome in the Barn too! With the colour choice narrowed down to pink, the team at Love your Home had sent over all the different pink swatches for me to choose from. That bit wasn’t easy! They have some incredible stain resistant fabrics which are perfect for families with children and/or pets. 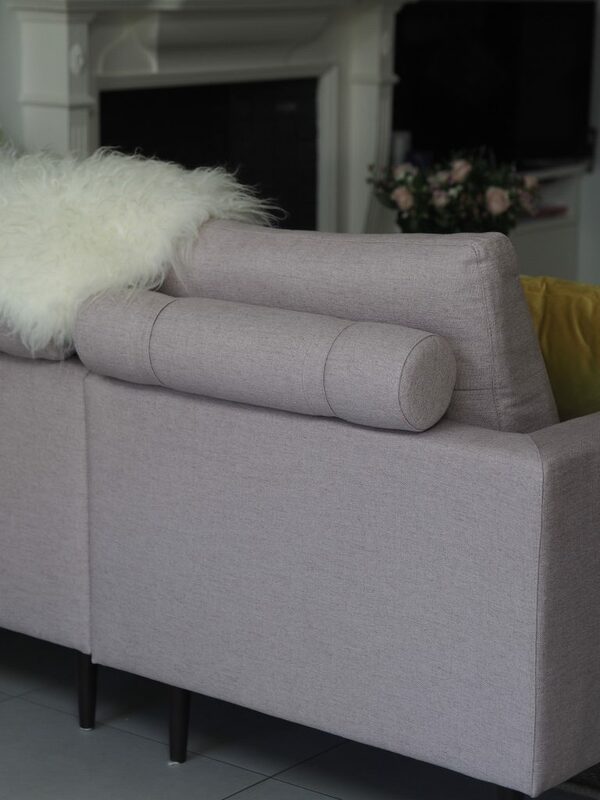 But in the end it came down to finding the perfect shade of pink and the fabric we chose came from Romo Fabrics. All I can say is thank goodness for Clare. As a ‘pink’ fan, I loved every single swatch they sent over and really needed her help with this decision. She has an amazing ability to focus on the overall vision and make the right decisions. I should mention that if I hadn’t been able to find the perfect fabric from the samples they had sent, they were also happy to use a fabric that I had sourced myself. In fact, almost anything can be changed to suit your needs. Whether it’s shaving 10 centimetres off the width or changing the height of the legs on the sofa, they will do it. 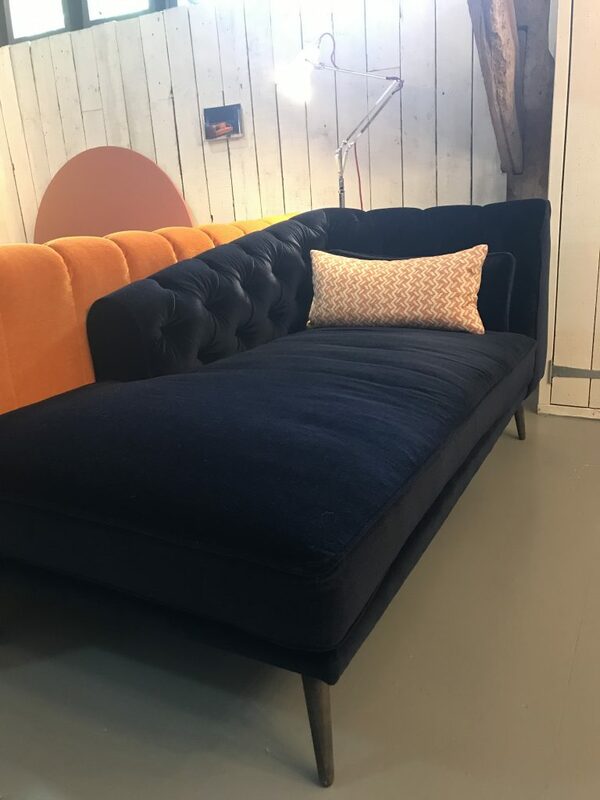 The Earl Grey Chaise Longue in Black Velvet – in love! The sofa we chose was the Jake – Modern Sofa with Chaise. 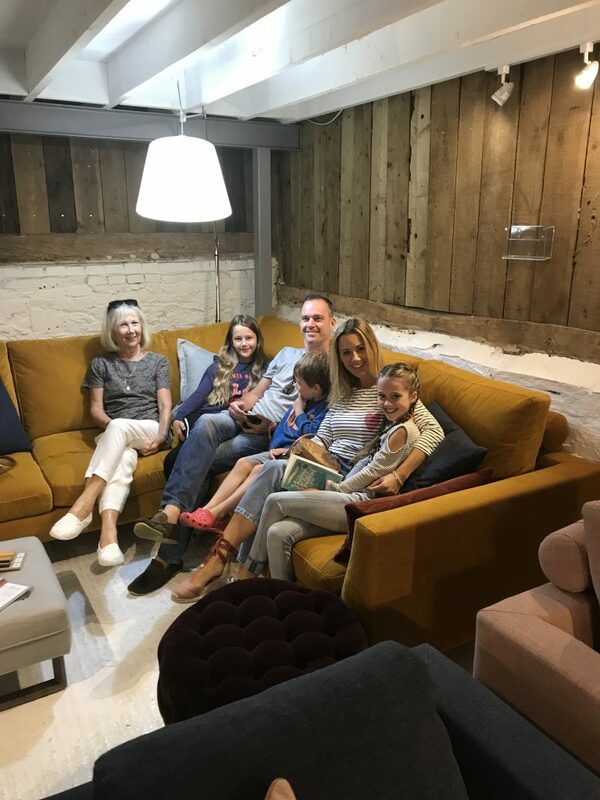 I was so impressed with the whole experience which was so personal and efficient and I would heartily recommend Love your Home if you are looking for a new sofa. I fell in love with their beds when I was at the showroom, and when, and if, the time comes to replace our bed, that’s where we will be heading. I am a bit cushion obsessed, and have spent way more hours than I should admit to looking at cushions recently. Clare was so helpful on the subject of cushions. She recommended that I didn’t ‘overcushion’ and that I shouldn’t overthink them in terms of colour co-ordination. Anyway, it isn’t something I want to rush, so the cushions are a work in progress. But there are a few places worth mentioning to look for beautiful cushions. The kitchen is tiled, so Clare suggested that we get a large rug to soften and help with zoning the different spaces. 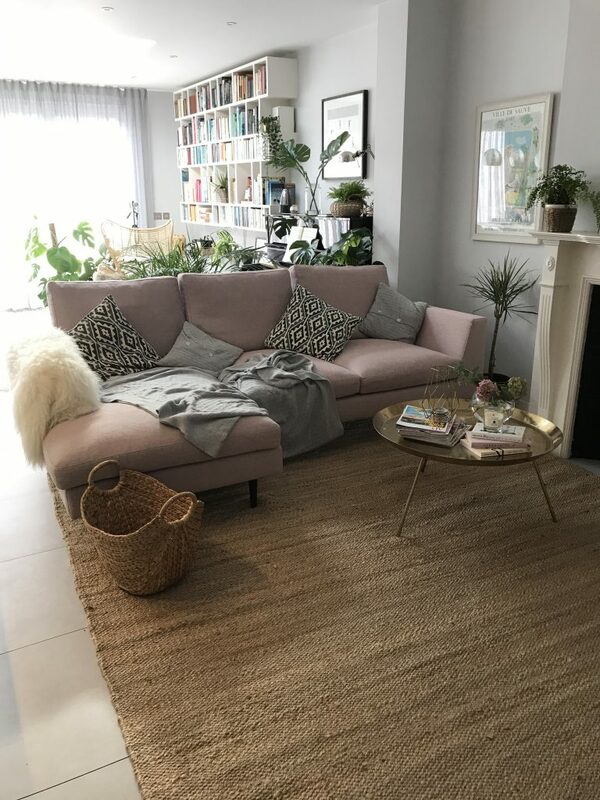 Sticking with our palette of soft pinks, natural textures and lots of greenery, we bought this jute rug from Design Vintage. I had always thought that jute rugs were rough and scratchy underfoot, but this one is so soft. It’s also been brilliant on a practical level. I was sweeping and mopping the grey tiles almost every day and having the rug there means that I don’t need to do it as often. I had been so worried about Sammy scratching the sofa, but I hadn’t given a moment’s thought to the rug. For the first three nights after it arrived, I would wake up each morning to find that he had pulled through yet another loop whilst scratching in the night. It was, of course, Sammy’s idea of heaven. I’d bought him a giant scratch mat! I hopped onto Amazon and ordered him a scratch post which sits in the corner next to the rug. Every time he went to scratch the rug, I would pick him up take him to the scratch post and he caught on pretty quickly. He hasn’t touched the sofa or the rug since. Clever boy! One of the things I found really helpful was to keep a little mood board with purchases I had made and things I still want to get. We are very much in the ‘saving phase’ at the moment. 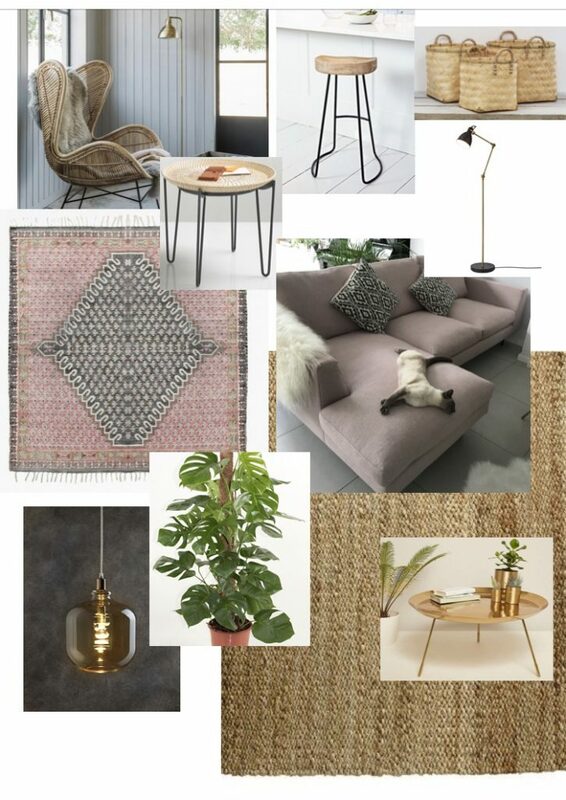 Next on my list is a standing lamp and a small yellow lamp for the occasional table- I have my eye on some beautiful ones from Pooky Designs. Even though it isn’t completely finished, every time I walk into the kitchen I feel happy. At the risk of sounding cheesy, the space feels so full of ‘life’ and colour and it’s much cosier than before. I also cannot recommend Clare enough if you are thinking of getting help with an interiors project. 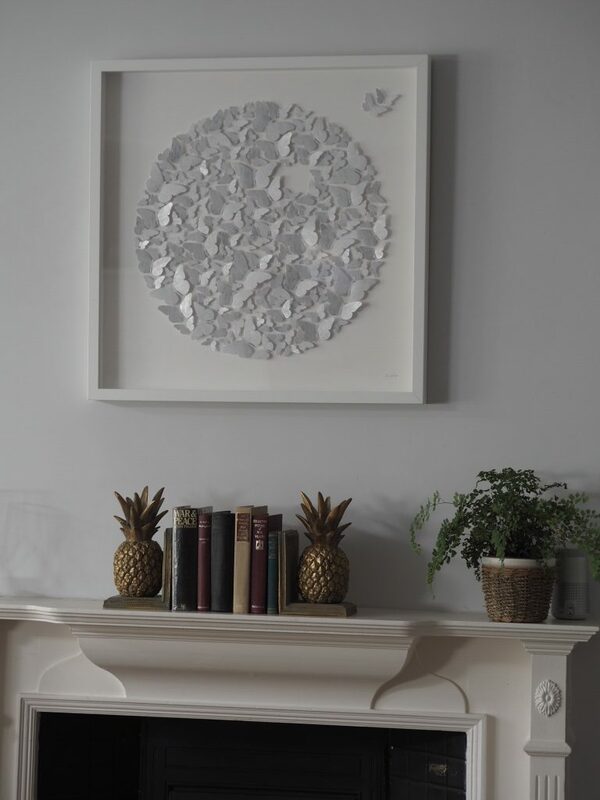 Clare is responsible for the interior design of all the Byron restaurants in the country and the Bush Hall Dining Rooms in West London, as well as many beautiful homes in the UK. You can find her on instagram @clarenashme or drop her an email at clare@clarenash.com and you can get a peek into one of her beautiful renovation projects here. I love what you’ve done, it certainly fulfils your own brief on being individual and not a straight copy of someone else’s room. 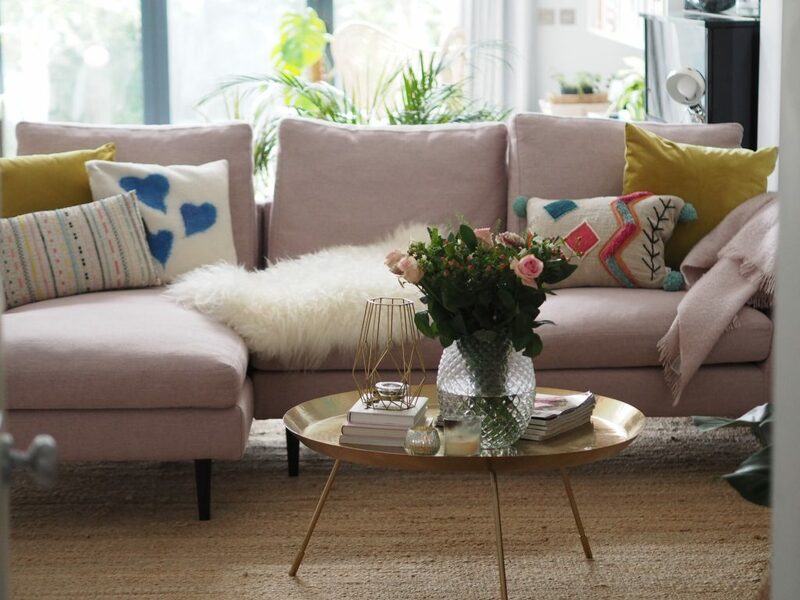 I love the colour clash of your cushions too! Have you tried anglepoise for a yellow lamp? They have a great yellow ochre one, not sure if it’s the right yellow though. I’m a cushion adict, and I ring the changes depending on the season, so I basically have three looks, spring/ summer, autumn and winter. Some I make myself and some I buy. We’ve just invested in a Corona chair and foot stool, and now I’m in need of a new lumbar cushion in an elongated oval to match! Oh and The White Company does great cushion covers! It looks really super. A question about your jute rug: I have one in my kitchen but it seems to accumulate a grey dust underneath – like cement dust. A friend has the same problem and we can’t decide if there is dust inherent in the jute or if the open weave and absence of a backing means that dust falls through to underneath. I slightly scratches my limestone floor. Have you encountered this side-effect? It’s a pain. 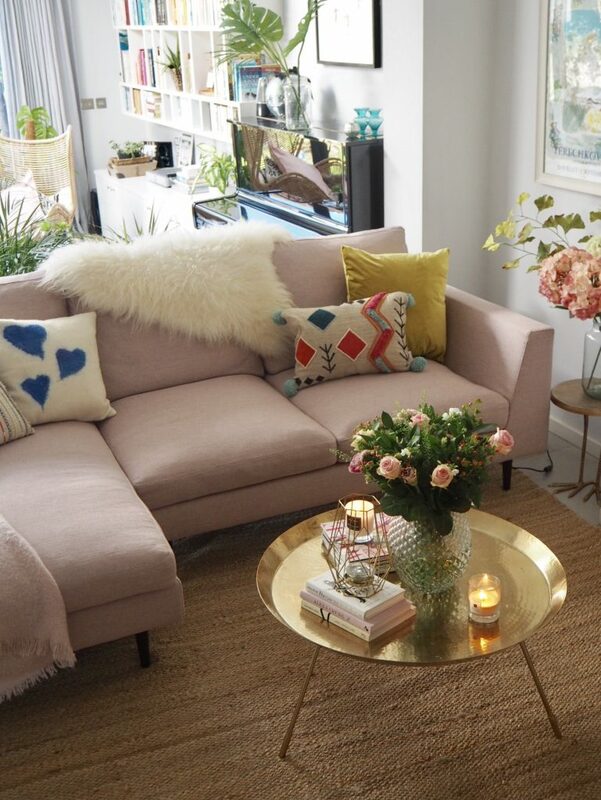 love the new look; but what happened to the lovely pink and black rug in the before pic?